If you are a tech toy junkie, or you hate cleaning, or maybe you are not as mobile as you used to be, a robot vacuum cleaner could just be the perfect gadget for you. 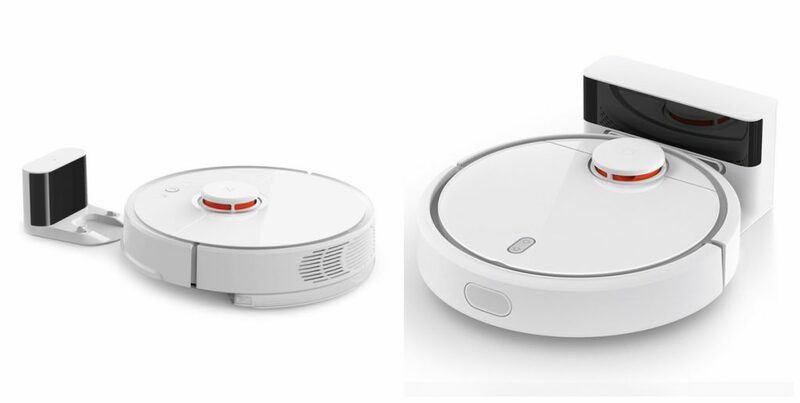 There are now a number of robot vacuum cleaners on the market, with Xiaomi being one of the leading manufacturers. 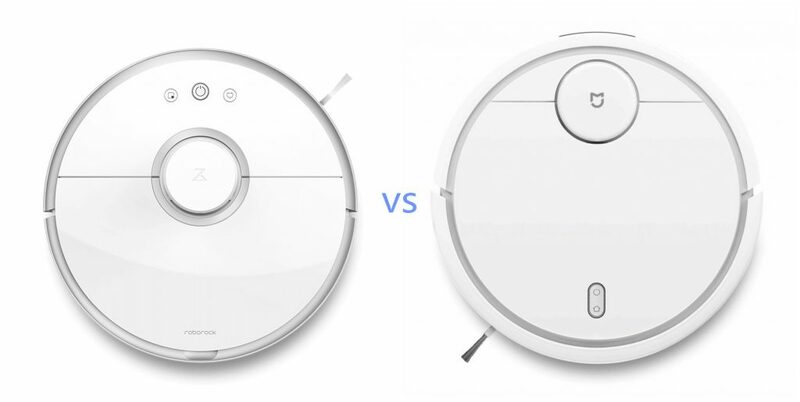 In this review, we compare the Xiaomi Mi robot vacuum against the more expensive Xiaomi Roborock vacuum. On looks alone, the Roborock and Mi Robot are indistinguishable. They have the same design elements, dimensions, external laser and both can be operated with an app from your smartphone. They gamefies the cleaning process, making it fun to track your robot vacuum as it cleans the different zones in your home. When it comes to function, the Roborock pulls ahead. First, the Mi Robot does not distinguish between different surfaces. The Mi Robot has an infrared sensor, that means the vacuum is best used on one type of floor surface at a time and only ideal for basic cleaning. The Roborock, by contrast, is a super cleaning machine. Its built-in sensor is a laser, and so it can distinguish between different surfaces. The Roborock automatically adjusts its suction to suit different floor surfaces switching easily from carpet, to tiling to hardwood. Capacity wise, the Roborock comes with a light bit more of everything than the Mi Robot does. 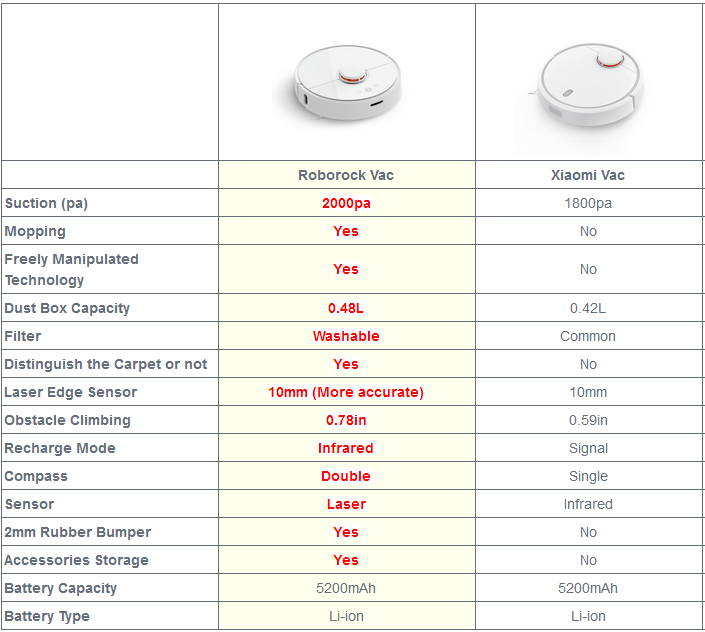 The Roborock has 2,000pa of suction compared to 1,800pa for the Mi Robot. It can climb over obstacles that are up to 0.78 inches high, compared to the Mi Robot which can only overcome 0.59 inches. Finally, the Roborock dust box accommodates 0.48 liters before it needs to be emptied, where the Mi Robot dust box fills up at 0.42 liters. The Roborock edges ahead on the environmental credentials because it has a washable filter. When road tested, the Roborock seemed to follow a more orderly cleaning path than the Mi Robot, this is probably because it is fitted with two compasses, rather than one. This is a marginal distinction though. 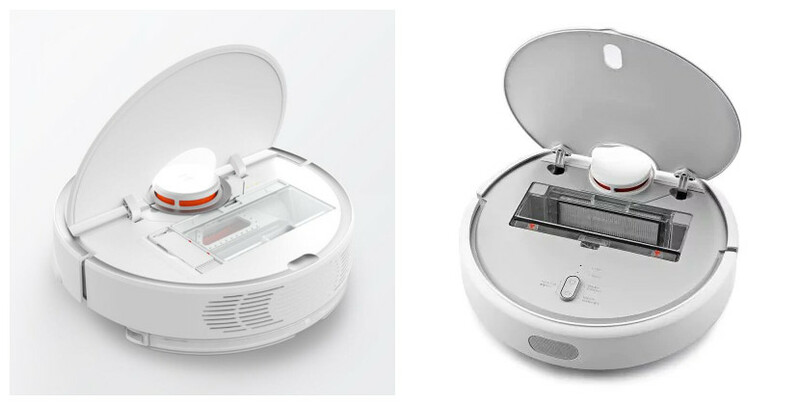 When it comes to charging and battery performance, unsurprisingly there was no difference between the Roborock and Mi Robot because they are fitted with the same type of battery. Both had similar performance and lifecycle. I would recommend recharging immediately after every use with both robot vacuums though. Head to head, the Roborock wins out over the Mi Robot. It costs more, but for the extra price, you get a vacuum that works on all surfaces and has a washable filter. It is also more powerful with more suction and not one but two compasses. 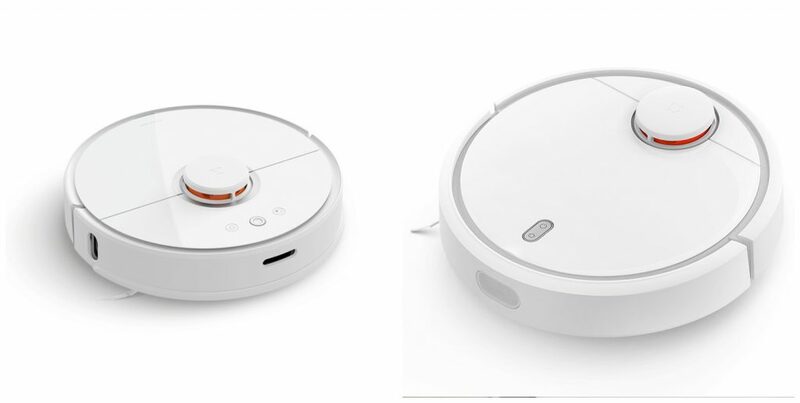 Xiaomi Mi Robot Vacuum and iRobot Roomba 980, Which is Your Choice?